We love to have the help of individuals, churches, community groups and civic organizations! During the warmer months of the year, EANDC organizes neighborhood cleanup events, public meetings and other special events. These events are key to our efforts to revitalize East Akron, a neighborhood hard hit by vacancy and foreclosure. 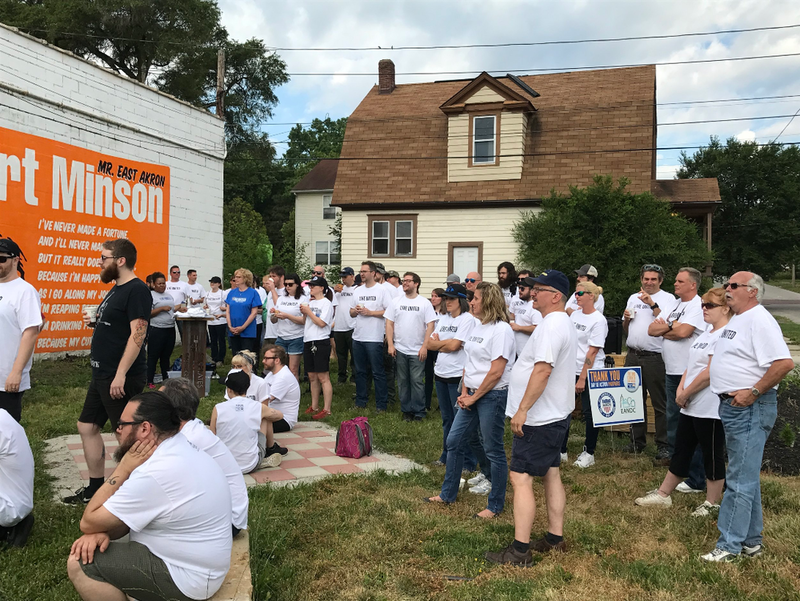 Whether it means mowing vacant lots, removing trash, planting flowers or helping with events like the East Akron Jubilee, these volunteering opportunities generate enthusiasm and pride in the neighborhood. Interested? Sign up to volunteer today and we will notify you of upcoming opportunities! EANDC appreciates the service of AmeriCorps VISTA members. Currently, two VISTAs serve at EANDC: one in Community Building & Engagement, and one in Resource Development. To learn more about AmeriCorps, visit nationalservice.gov.